At Seniors Helping Seniors® Chicago Metro, we have a passion for meeting the needs of seniors in a way that provides both dignity and a sense of camaraderie. Our owner(s) Sylvie Hutchings firmly believe we can do that through serving seniors in our community, which includes: Chicago, Evanston and Skokie. Seniors Helping Seniors® (SHS) in-home care services are available all throughout the Chicago metro area including Skokie and Evanston, IL. Our senior care programs foster relationships between seniors seeking employment and seniors who need help with daily nonmedical personal needs, household tasks, and chores to continue living comfortably in their own homes. Originally from France, Sylvie Hutchings has lived in various cities around the United States. Several years ago, she settled in Chicago. Sylvie believes SHS’s senior care program is a unique business model and wants people to be aware that they have an alternative to live their lives independently. Our home care services can fill a void that she sees in her own neighborhood every day. Sylvie was born and raised in France and comes from a large family of seven children. In her late teens, she immigrated to the United States and has lived in various places before settling in Chicago. 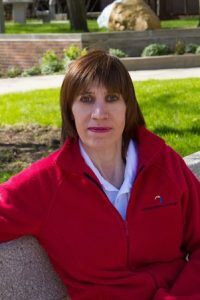 Prior to opening her Seniors Helping Seniors(r) in-home care franchise, Sylvie worked to mitigate fraud in the banking industry and for E-commerce merchants. She is very active in the city, and enjoys attending a variety of social events. She loves to travel while visiting friends and family all over the world. Seniors Helping Seniors® franchises strive to set reasonable fees for clients while also providing competitive wages to employees within each geographic market. Nonmedical services provided may include, but are not limited to, cooking, light housekeeping, companionship, personal grooming and dressing, shopping, doctor visits, transportation, mobility assistance, overnight stays (24-hour care), live-in care, long-distance check-ins, respite care, home organizing or cleaning, post-hospitalization care, Alzheimer's and Dementia care. For any other type of service, every attempt will be made to fulfill the request. For information about services or employment call 312-526-3666 or email info@chicagoshs.com.